YellowAirplane.com: F6F Hellcat World War 2 Aircraft History, DVD Movies and Videos Sale. F6F Hellcat World War 2 Aircraft History, DVD Movies and Videos. of the World War 2 DVD Movie Department. These DVD Movies and Videos will bring World War 2 History right to your living room. Watching these movies will not only bring excitement to your family, but will teach your kids the history that made America the great country that it is today. World War 2 F6F Hellcat Aircraft DVD Movies and Videos showing the Weapons and History of the soldiers and their airplanes. All New World War 2 F6F Hellcat Aircraft DVD Movies and Videos demonstrating the fighter plane and its pilots along with history study notes about WW2 battles and the weapons used to fight them. The Grumman F6F Hellcat was designed from the beginning to take back the skies over the Pacific from the Japanese Zero. Though not as maneuverable as the smaller Zero, the Hellcat's speed and firepower usually won the day. Successor to the Grumman Wildcat, the F6F Hellcat made history in 1942 when it decisively whipped the Japanese aircraft carrier based fighters opposing it in the Pacific during WWII. In addition to its duty as a carrier-based fighter, the Hellcat served with the U.S. Marine Corps as a potent fighter-bomber. The DVD Movies and Videos will show the air battles and their history very clearly demonstrating how hard our veterans had to fight for our freedom. Do you like Adventure Travel, Look at this link for the Most Fantastic Adventure on EARTH. Here to read, "I Thought I Killed Ernie Pyle" by Irving Mayer. An Exclusive YellowAirplane Online Museum Exhibit. This program covering the aerial warfare of World War II features dramatic footage of dogfights over England, the F4U Corsair and F6F Hellcat versus the Japanese A6M Zero, the 617 Squadron "Dambusters" Operation Chastise bombing raids, B-24s on the Ploesti mission, the battle for the Island of Malta, the air war over the battlefields of the Kursk Salient between Russian and German aces, and more. B&W, Dolby Digital, 1 hour. First, get checked out in the U.S. Navy fighter that was designed to blow Japanese Zeros out of the sky, then climb into the cockpit for a thrilling flight with surround sound that puts you right in the pilot's seat. After your ride, you'll follow the adventures of a USMC night fighter pilot, and enjoy DVD bonus features such as the original WWII training film, the complete pilot's handbook, a WWII pilot "photo album," and more. Dolby Digital 5.1, 1 hr. 45 min. Reprint of the Navy manual on flying the F6F Includes descriptions of the plane and its systems as well as operating instructions. Caution: This publication shall not be carried in aircraft on combat missions or when there is a reasonable chance of its falling into the hands of the enemy! 60 pgs., heavily illustrated with photos, charts and diagrams. 8½"x 11". Note: This book is so inexpensive that no model could be complete without one. Climb into the cockpit of the Allied response to the dreaded Japanese Zero fighter: the F6F Hellcat. In this video, you'll join legendary dogfighters Robert Duncan, Hamilton McWhorter and Alex Vraciu - whose epic dogfights blazed a new chapter in the annals of aerial warfare - as their stories are brought boldly to life through archival footage, firsthand accounts and awesome computer simulations. 50 minutes. This program features original newsreel footage produced by the U.S. military prior to the outbreak of World War II. You'll thrill to the record-setting Explorer II balloon flight, the 1935 Thompson and Mitchell Trophy races, the China Clipper in Manila, the Boeing XB-17, Hamilton Field, the USS Saratoga (CV-3), Selfridge Field exercises, B-17As, Stearman PT-13s, the Bell XFM-1, XB-15 Autogiros, planes landing and taking off on the USS Lexington (CV-2) in 1938, and much more. B&W and color, 1 hr. 52 min. The Grumman Hellcat was designed from the beginning to take back the skies over the Pacific from the Japanese Zero. Though not as maneuverable as the smaller Japanese Zero, the Hellcat's speed and firepower usually won the day. Successor to the Grumman Wildcat, the F6F Hellcat made history in 1942 when it decisively whipped the Japanese aircraft carrier based fighters opposing it in the Pacific during WW2. In addition to its duty as a aircraft carrier-based fighter, the Hellcat served with the U.S. Marine Corps as a potent fighter-bomber. 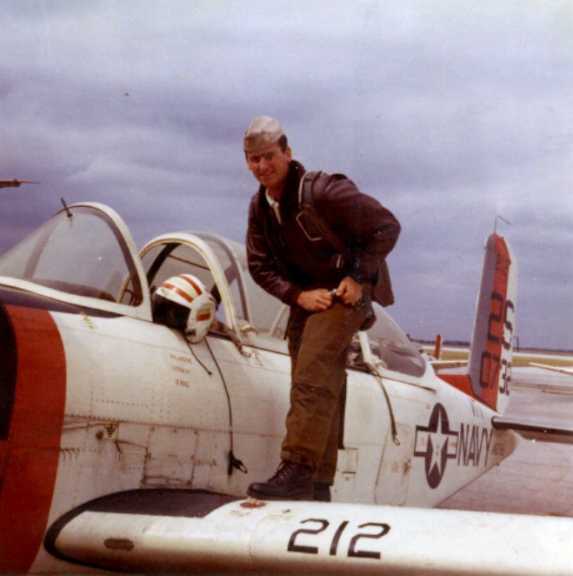 In the summer of 1942, Jim Vernon joined the U.S. Navy's aviation cadet training program and by the spring of 1945 he was flying F6F Hellcats from the USS Ticonderoga off the coast of Japan. This memoir of his years at war provides a carrier pilot's view of the conflict in the Pacific during the final months of the war when the atomic bombs were dropped and Japan capitulated. James H. "Jimmy" Flatley, who rose to the rank of Vice Admiral after World War II, helped introduce the F6F Hellcat into combat in 1943. the F6F-3 Hellcat, "White 00," that he flew as Commander of Air Group 5 on the USS Yorktown in May of 1943. On November 19, 1943, Lt. (jg) Hamilton McWhorter III, operating off the USS Essex, downs a Mitsubishi G4M "Betty" bomber to become the first pilot to claim five victories in the Grumman F6F Hellcat. Since 1946, the U.S. Navy Flight Demonstration Squadron has taken performance flying to new levels. "Blue Angel Number One," Roy M. "Butch" Voris, this limited edition print features a wonderful depiction of his Grumman F6F Hellcat that he flew as Officer-in-Charge of the first Navy Flight Exhibition Team - the Blue Angels. His wartime accomplishments and flight team history are all here. F4U Corsair and F6F Hellcat versus the Japanese A6M Zero, the 617 Squadron "Dambusters" Operation Chastise bombing raids, B-24s on the Ploesti mission, the battle for the Island of Malta, the air war over the battlefields of the Kursk Salient between Russian and German aces. Navy fighter piloted by Commander David McCampbell, Congressional Medal of Honor recipient who shot down 34 Japanese aircraft in one tour of duty, including nine enemy planes in one mission - an unparalleled achievement in American fighter aviation. F6F-5 "Minsi II," flown by the Air Group Commander of VF-15 (Fabled Fifteen) off the aircraft carrier "Essex." Here, Commander David McCampbell is engaged with Japanese aircraft over the Philippines on October 24, 1944. Commander McCampbell and his wingman intercepted 60 enemy aircraft en route to an attack on the U.S. Fleet, and in the ensuing fight he shot down nine of the enemy and forced them to abandon their attack. Naval fighter piloted by Lt. H. "Mac" McWorther III, the first Hellcat ace who ultimately scored 12 victories. Cdr. Hamilton McWhorter III, USN (Ret. ), a Hellcat ace who flew first in North Africa then flew from the USS Essex, from which he shot down 12 Japanese aircraft. He was the U.S. Navy's first Hellcat ace. post-WWII era craft of the Blue Angels' first flight leader, Lt. Cmdr. Roy "Butch" Voris. Gadget, the F6F Hellcat flown by 19-victory ace Lt. Alexander Vraciu - the U.S. Navy's fourth-leading ace of all time - with VF-6 in the Pacific Theater of World War II. F6F Hellcat pilot and Medal of Honor recipient Capt. David McCampbell departs the USS Essex during the Marianas Turkey Shoot. The Marianas Turkey Shoot of World War II. Tillman. In June, 1944, American and Japanese carrier fleets both hoped to take control of the vital Marianas Islands - and when they met, their engagement escalated into the most spectacular aircraft carrier battle in history. The battle in which more than 300 Japanese aircraft were destroyed. VF-27 markings of Lt. Carl Brown, who flew from the USS Princeton in October 1944. Preparing to attack a Japanese force of 60 aircraft over the Philippines during the Battle of Leyte Gulf on October 24, 1944, Cmdr. David McCampbell and his wingman Lt. Roy Rushing are about to fly their F6F Hellcats into history by splashing 15 enemy aircraft, including nine by McCampbell. The N1K2-J Shiden-Kai "George" flown by CPO Shoichi Sugita of the 343rd Kokutai claims four F6F Hellcats and another three probable's during the shredding of an unsuspecting and overconfident carrier strike group near Kure on March 19, 1945. Though production of the Hellcat ceased shortly after the end of World War II, some aircraft - such as this one flown by the French Navy over Indochina in 1953 - remained in service for years. Radar-equipped night fighter with a wing-mounted AN/APS-6 radar flown by 12-victory ace Lt. William E. Henry, who was executive officer of VF(N)-41 squadron on the USS Independence in 1944 and the top U.S. Navy night fighter ace of World War II with 6 nighttime victories.